Louth Pre-Championships took place on Saturday 11th at Bush Track. Fortunately, the rain stayed off & it was great to see such a big turnout of athletes from Glenmore & other Louth clubs. 60m: Emma McCarragher,2nd Katie McDonald, 3rd Jessica White, Aine Gallagher, Grace Keenan, Saoirse Byrne. 200m:Emma McCarragher, 1st, Jessica White, Katie McDonald, Aine Gallagher, Grace Keenan. 80m: LucyWhite, 1st, Orlaith daly, 3rd, Chloe Mccarragher, through to final, Anna Dawson, semi-final, Aoife McGee, sarah mallon, Ava Ashby. Turbo Javelin: Chloe McCarragher, 2nd, LucyWhite, 4th , Anna Dawson, Orlaith daly, Mia Ashby, Ava Ashby, Sarah Mallon. Long Jump: Caoimhe McBride Niamh McManus, Lisa Conlon, Caitlin Savage, Ava Brady, Katie McGuinness. 400m Anna McArdle, 2ndKatie Conlon, 5th. 100m Ciara Quinn, Final, Erin gray, final, Erica Quinn. 800m: Ciara Quinn, 3rd, Erin Gray. Long Jump Maria Digny 3rd. 80m Jason Brady, , Through to final, Cilliian Murphy, through to final,Adam Sharkey, Fionn O’Reilly, Shane Gallagher, William Quinn. 200m Jason Brady, Cillian Murphy, Willaim Quinn, Adam Sharkey, Fionn O’Reilly. Turbo javelin Shaun Quinn, 3rd, Sean McCarragher, 5th, Pierce McManus, Sean O’Kane, Oisin Fitzgerald. Long Jump Sam dawson, 4th, Ethan Murphy, Darragh Brady, Shaun Quinn, Sean Mccarragher. 100m Niall Brady, 2nd, 800m Niall Brady. U9 Girls Saoirse McBride, Katie McDonald, Emma McCarragher, Jessica White (4th), Aine Gallagher, Dearbhla McBride, Mia Ashby, Grace keenan. U10 Boys teams: Cillian Murphy, Jason Brady, Fionn O’Reilly, Shane Gallagher, Adam Sharkey, Adam Brady, Dualta O’Neill, William Quinn. U11 Girls relay teams 2nd ,5th & 9th place: Ava Brady, Lisa Conlon, Orlaith Daly, Lucy White, Caoimhe McBride, Anna Dawson, Katie McGuinness, Chloe McCarragher, Caitlin Savage, Niamh McManus, Sarah Mallon, Ava Ashby & Aoife McGee. U12 Boys teams 3rd and 4th: Sean McCarragher, Shaun Quinn, Oisin Fitzgerald, James Sharkey, James McBride, Sean O’Kane, Cian McGuinness, Pierce McManus. U13 Girls 1st and 8th: Anna McArdle, Laoise McElroy, Katie Conlon, Ciara Carolan, Nicole Barry, Breanna Savage, Laoise McGuinness, Blathnaid Murphy. U14 Boys 2nd team, U15 Girls 4th with Dunleer athlete. It was a busy weekend for senior athletes. 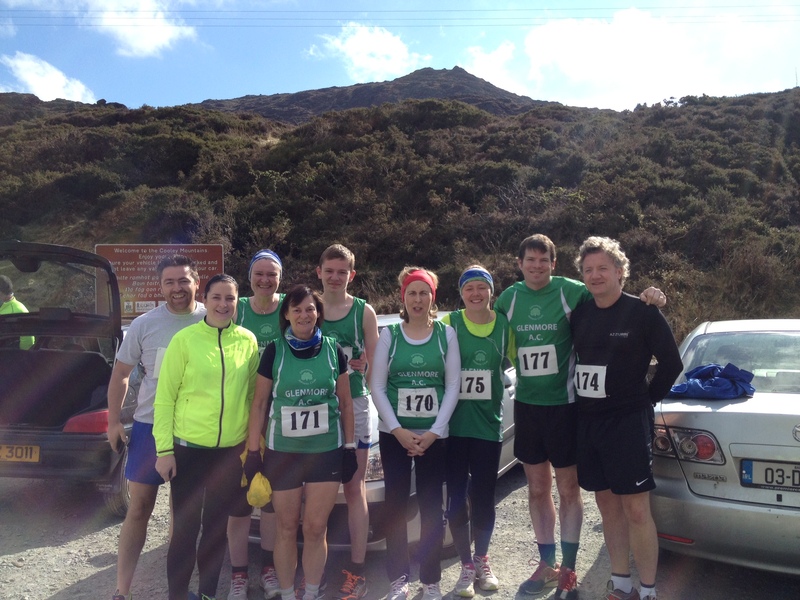 On the 18th April Tadhg Leahy came home 4th in the 10km Land of Legends followed by teammates Gavin White, Kinga Byrne, Rose White, Ann McEvoy, Marie O Connor and Vicky Leahy. Patrick White led Glenmore athletes home in the Land of Legends half marathon with John Kane, Fiona Finan, Karen May, Stephen O Connor, Ali mcEnhill and Fionne Lynch in her first half marathon. 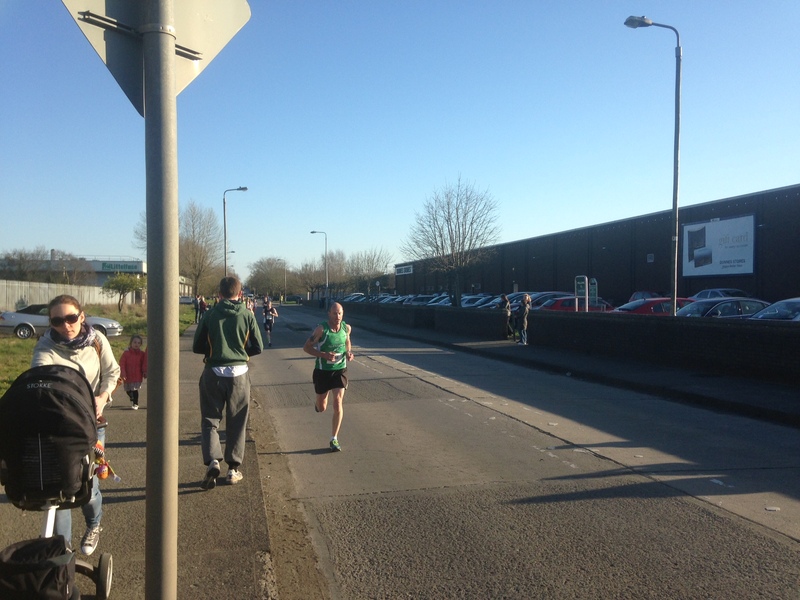 On Saturday evening Shane Toner, Ciarain Walsh, Tony Mulligan and Kenneth McBride were 5th team in the Patsy Kelly 5km with Kenneth also winning 3rd in his category. 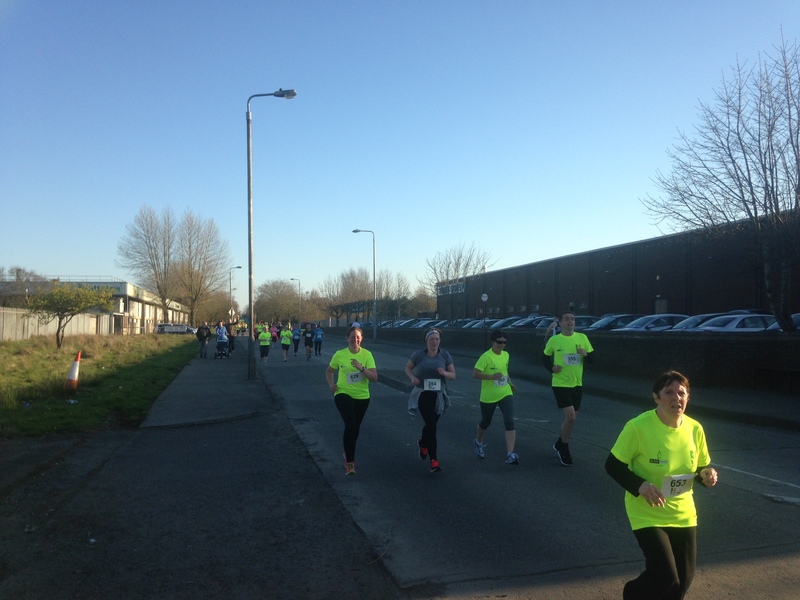 Hot on their heels were Pat Ferguson, Michael McShane, Gerry Stewart, Nicola Ferguson, Erin Gray, Aidan McCoy in his first 5km, Hannah Gormley, Sharon Mulligan, Lorraine Gillespie, Melissa McCoy also in her first 5km and Sheila Mckevitt. Please see here for further details on Cooley Credit Union races which begins at 6.30pm sharp at track, Bush School, Thursday April 23rd. Details have been sent to all primary schools in the peninsula.